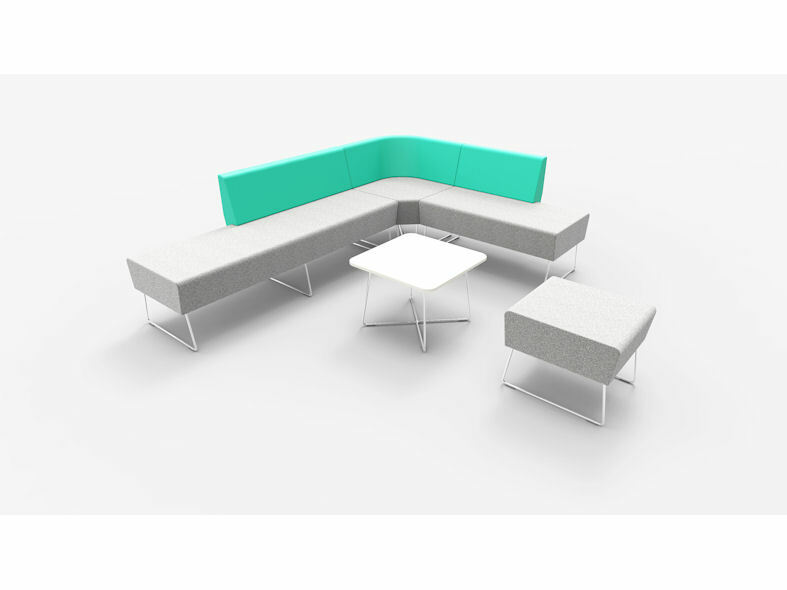 The s450 chevron is a fully upholstered seating range comprising linear and radial benches, a high stool and a chair. 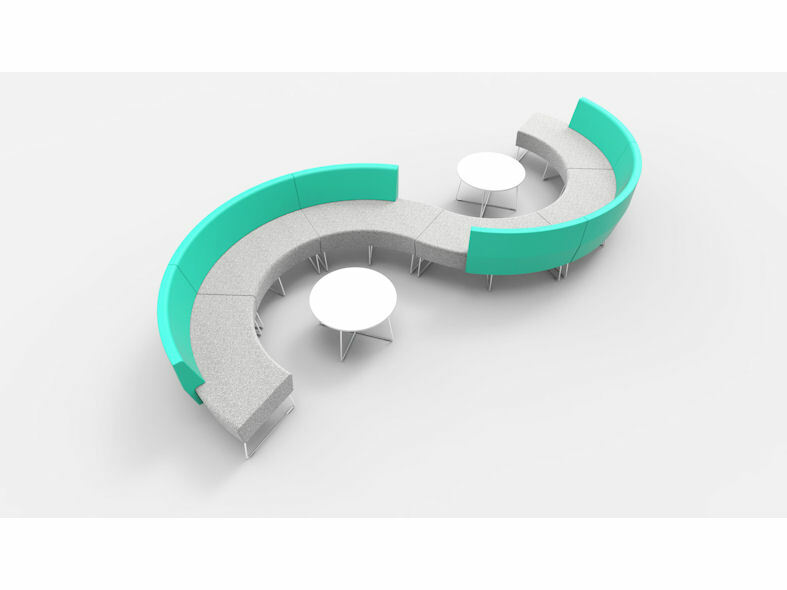 Benches are available either without a back or with a low-back or high-back. 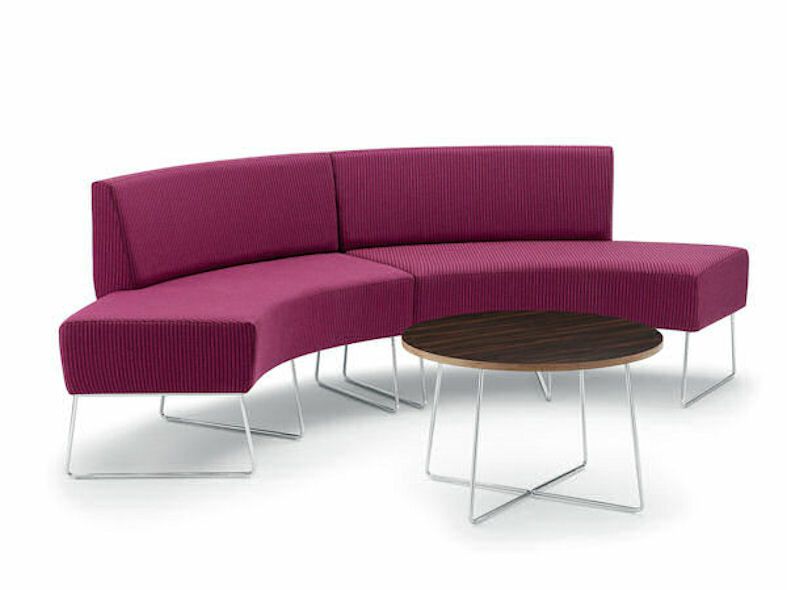 Chevron has clean upholstery lines and a timeless aesthetic. The signature visual detail of the range is the intersection between the seat and the back. 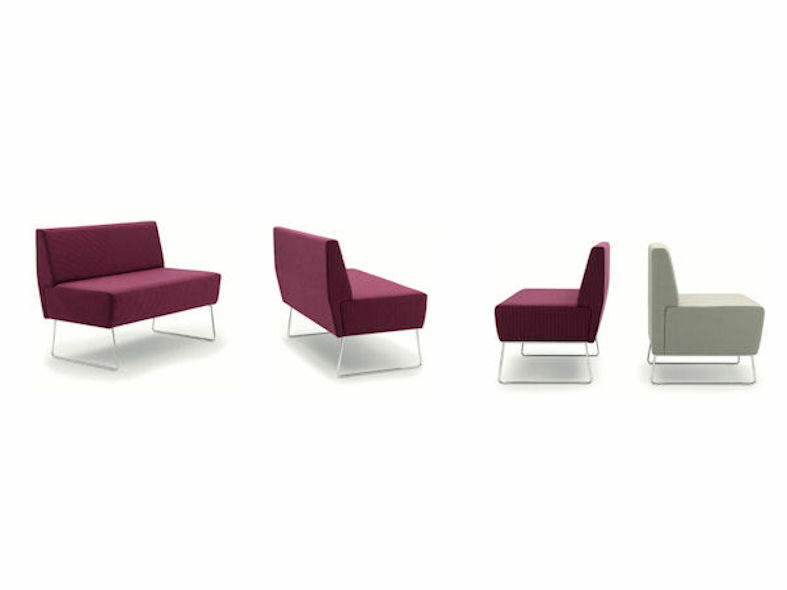 The expression of this detail can be enhanced by upholstering the seat and back in different fabrics. Two different styles of leg frame are available; steel rod finished in chrome plate or solid Oak hardwood finished in clear lacquer. 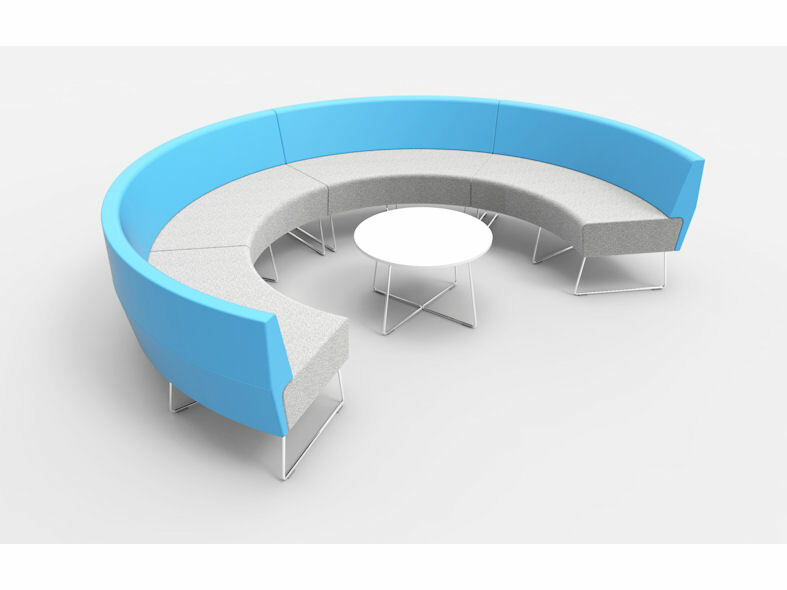 Chevron provides a multi-purpose seating solution for workplaces. 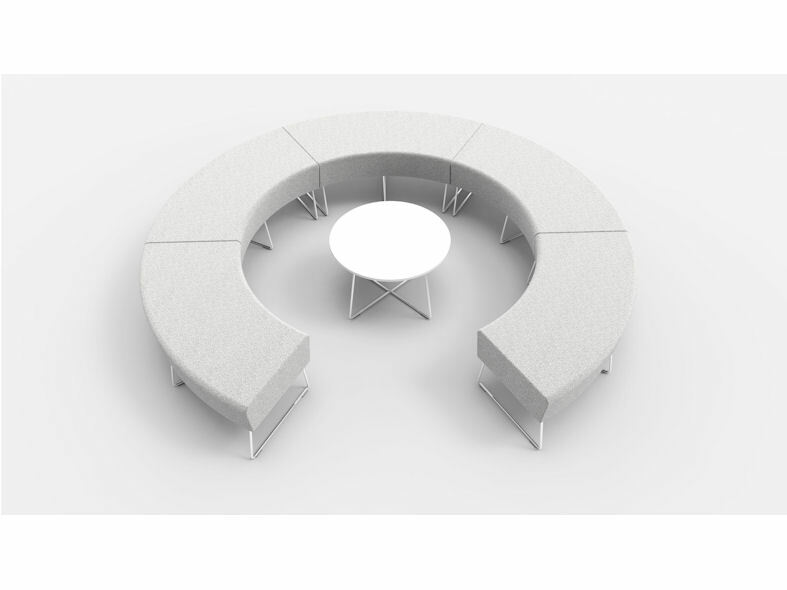 Radial benches can be configured into informal meeting spaces to facilitate collaboration between co-workers. 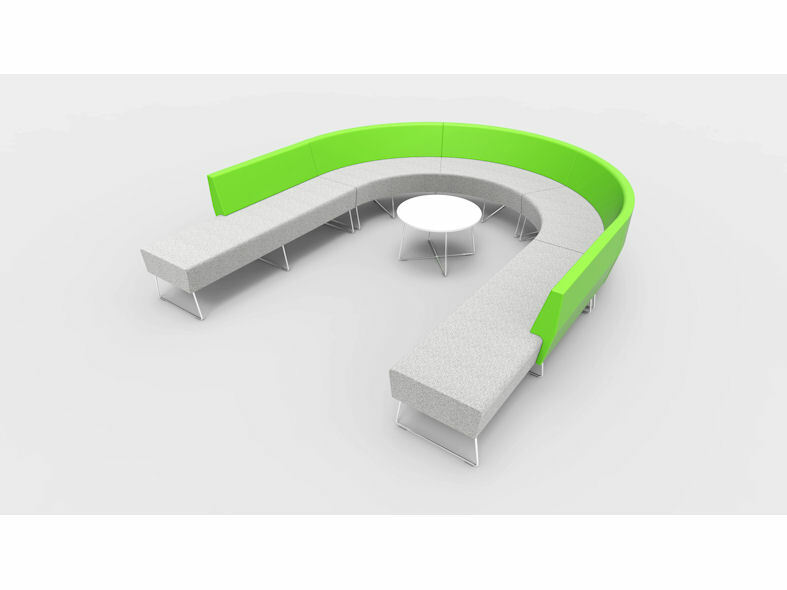 Linear benches can be used to create 'diner' style meeting environments and reception spaces. 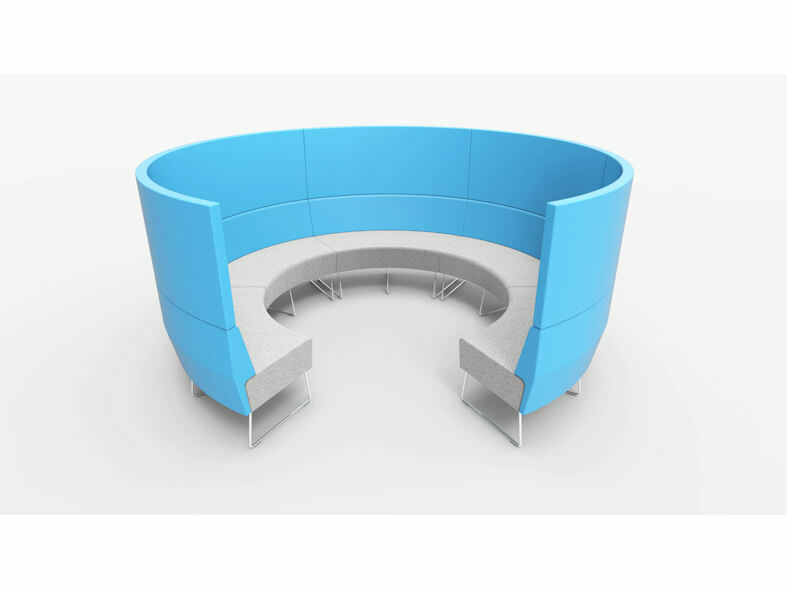 The high stool and chair can be used throughout the workplace, to provide seating for meetings, temporary to medium term working and for away from the desk areas.